I have a fondness for Valentine’s Day. It falls in February, the air is cool, there is snow in Tahoe and Disneyland is not that far away. I live in the lucky state that has all kinds of weather, and any scenery you could wish for, except of course my Tennessee homeland and all the good eats it has to offer. There are two days in the year that I celebrate my Southern palate, Martin Luther King’s Birthday and Valentine’s Day. We celebrate Martin King’s Day recognizing our hope for peace in this crazy world while recognizing his accomplishments and enjoying some of the foods he would have enjoyed at Sunday Supper. Then there is Valentine’s Day, and yes I use it as an excuse to eat a totally Southern meal here in Sunny California. Sometimes we eat New Orleans style at a local restaurant, we both adore red beans and rice, but this year I am cooking the works. Below is my menu plan for Southern Gal’s Valentine’s Dinner for Her Beau! Sweet Tea, I am talking sweet enough to pour over pancakes. Salad: Strawberries over Spinach with a balsamic honey dressing. Fried Chicken with lots of spicy kick. Our favorite chicken joint is Gus’s, so the bar is very high. This would make a very good appetizer and is traditionally is served with hot sauce and saltine crackers. If you observe Valentine’s Day you can really have a ball making dinner at home and setting out some candles and flowers to make it lovely. Valentine’s Day does not require an elite restaurant with over-priced wine and boring steak and potatoes. You can make it what you love right at home! 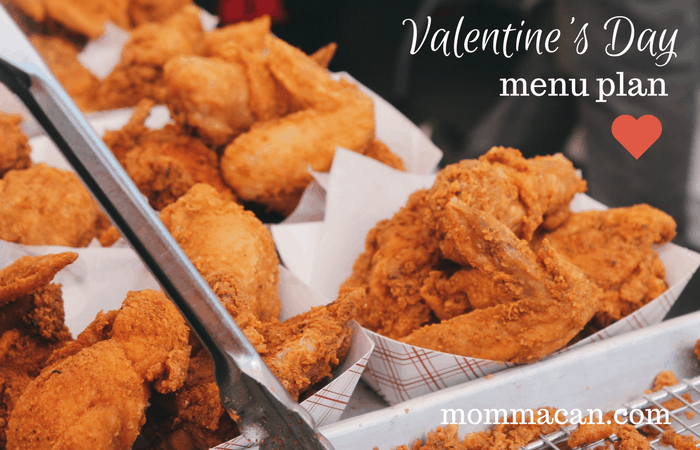 And to make it simpler I have created a Valentine’s Day Menu Planning Sheet FREE for you! 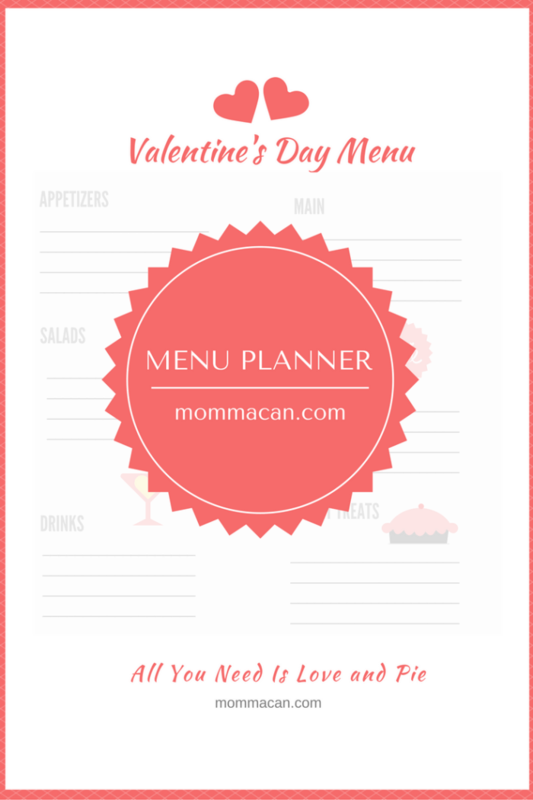 This Valentine’s Day Menu Planner Free Printable is part of a super collection of printable here on Mommacan.com! I hope you enjoy it and I hope you and your family have a wonderful Valentines Day! This looks amazing! Love me some fried okra. You are certainly ambitious!! As a reluctant cook, I would have enough gumption to make maybe two of these items!! You go girl!! It sounds delicious. That is quite the meal you are planning. Awesome. Wow, I may be a northern girl, but I love me some southern food! This sounds amazing. 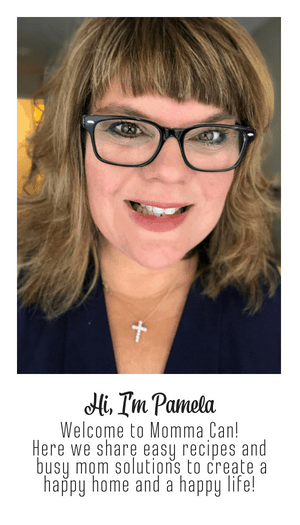 Thanks for linking up to Funtastic Friday!